The Bushfire Store has sprayer hose reels suitable for many applications, including the home gardener low pressure spot sprayer hose reel and the commercial sprayers 12 volt auto rewind hose reel. We also have a wide range of chemical resistant pressure hose & suction hose. All of our hose and reels are made with the highest quality components for hassle free precision spraying. They can be used with fertilisers, pesticides, herbicides , fungicides and more. 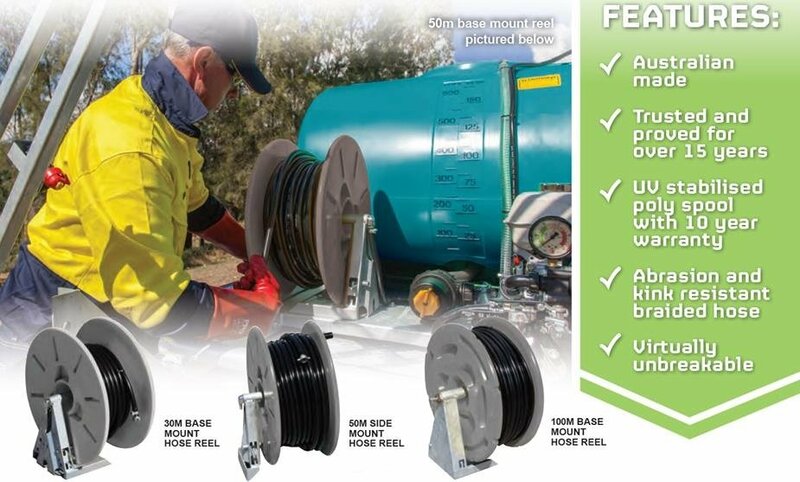 RAPID REELS ● UV Stabilised, Impact & Chemical Resistant Poly Reel. ● Galvanised Steel Frame. ● Easy-Wind Handle. ● High Quality 10mm Chemical Resistant Spray Hose. BUDDY AUTO REELS; ● Heavy Duty Steel Construction With Powder Coating Protection. ● Australian Made. ● High Quality 10mm ID Spray Hose. ● 12 Volt Radio Controlled Retraction. ● Genuine Woven Canvas. ● High Pressure 3500 kpa. ● Adjustable Fire Fighter Nozzle. 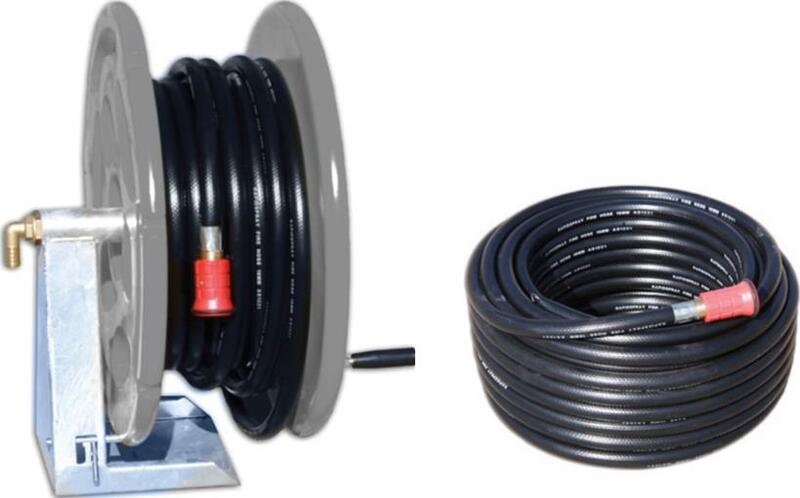 ● Heavy Duty PVC Hose & Poly Hose Reel. ● Australian Made. ● Adjustable Fire Fighter Nozzle. – Free Delivery is available on most Rapid Spray sprayer hose reels over $250. Click Here or contact us to find out if you are eligible for free delivery. DISCLAIMER: Hose reel dimensions may vary slightly due to manufacturing process.